Last week I met with a new client and we pulled together a wish list of around 10-15 items that are missing from my client's wardrobe. What I have found in working with personal styling clients is that many women are missing the same types of items in theirs. So today I am sharing a list of 10 investment pieces every woman should have. These items can be used to create endless outfits and are a great foundation to build your wardrobe. 1. Tailored black blazer. This can be a classic blazer but depending on your lifestyle an edgy moto jacket or leather jacket are both great alternatives. 2. Statement scarf. This season a leopard or floral print is on trend but even just a classic solid is perfect. A scarf is a great way to elevate and complete your look. 3. Chic pair of flats. These can be loafers, classic black flats, or have fun with it and go for a bold red pair. 4. Little black dress. Everyone needs one fitted black dress that they feel fabulous in. 5. Beautiful timepiece. A watch is a great way to dress up an outfit and perfect alternative to wearing bracelets. 6. Striped shirt. Usually we see a classic white button down on these types of lists but I like a striped shirt as an updated alternative. Pair is up with a blazer, jeans, and flats for a great look that is sophisticated and put together. 7. Dark wash jeans. These are universally flattering-just pick a style that works best for your body type. 8. Investment handbag. Most women carry a bag everyday so why not invest in a beautiful and high quality bag. Check out more style tips about what type of bag to invest in here. 9. Jewelry you never take off. These are your 1-2 signature pieces that you were all the time and they are timeless and have special meaning to you. 10. Classic trench. 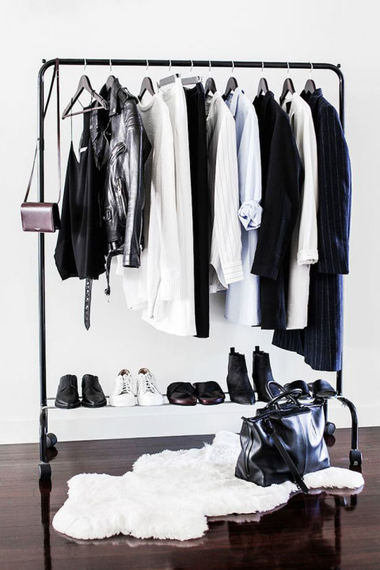 This is one item you can keep in your wardrobe for years to come. You can wear it throughout the year and it works well with jeans and dresses.